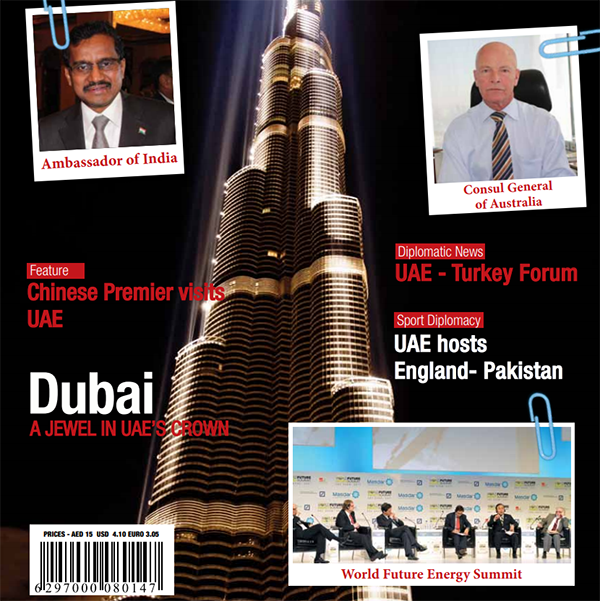 (Abu Dhabi) – The first “Emirati-Lebanese Investment Forum” began in Abu Dhabi. The forum was jointly organised by the Ministry of Economy and the Abu Dhabi Chamber of Commerce and Industry, ADCCI, in cooperation with the Federation of UAE Chambers of Commerce and Industry and the Federation of Chambers of Commerce, Industry and Agriculture of Lebanon. The forum was launched by Sultan bin Saeed Al Mansouri, Minister of Economy, and Mohamed Shuqair, Chairman of the Lebanese Economic Authorities and Chairman of the Federation of Chambers of Commerce, Industry and Agriculture, in the presence of Hamad Saeed Sultan Al Shamsi, UAE Ambassador to Lebanon, and Shehab Dandan, Lebanese Ambassador to the UAE. The forum was also attended by Ibrahim Al Mahmoud, First Deputy Chairman of the ADCCI; Mohammed Helal Al Muhairi, Director-General of the ADCCI; Juma Al Kait, Assistant Under-Secretary for the Foreign Trade Sector of the Ministry of Economy; Humaid bin Salem, Secretary-General of the Federation of the UAE Chambers of Commerce and Industry; Jamal Al Jarwan, Secretary-General of the UAE International Investors Council, UAEIIC, and Jacques Sarraf, Chairman of the Lebanese Investors Federation, as well as senior representatives of government and private organisations from both countries. The forum highlighted the current economic and trade cooperation between the two countries, as well as private sector partnership opportunities, with a focus on sectors of common interest, including transportation, infrastructure, tourism, energy and petrochemicals. The forum, which was attended by leading Emirati and Lebanese business leaders, also held a joint session about the partnership between the public and private sectors and organised bilateral meetings between Emirati companies and their Lebanese counterparts. During his opening speech, Al Mansouri highlighted the challenges facing the international economy and the return of protectionist policies in some major economies, which will have a negative impact on investments and trade, as well as the effects of conflicts and instability in the region on trade partnerships and economic growth, which will require greater efforts to promote economic cooperation, exchange expertise, and create investment and trade opportunities, especially in the private sector. He explained that the commercial ties between the UAE and Lebanon are an ideal platform for launching new partnership, and the non-oil commercial exchange between the two countries in 2017 was valued at around US$2 billion, an increase of over 4.4 percent compared to 2016. 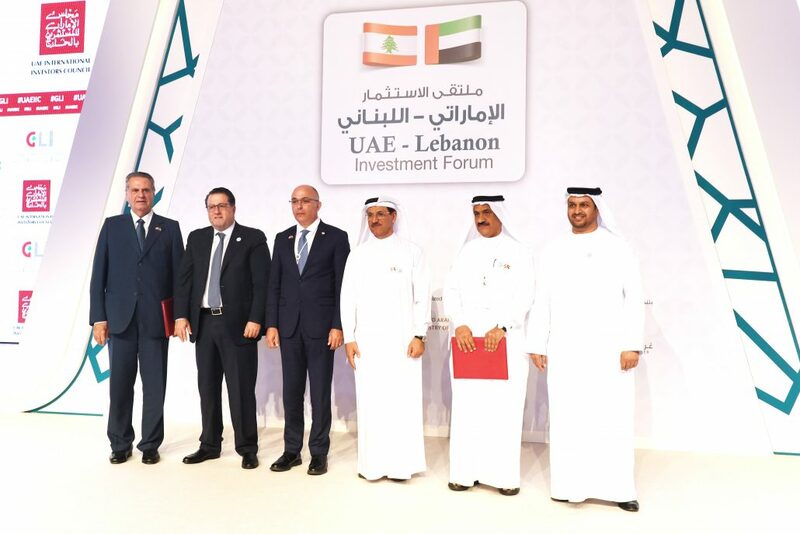 The value of direct Emirati investments in Lebanon in 2016 reached over $7.3 billion, which included the sectors of civil aviation, ports management, banking, tourism, energy and petrochemicals. Over 106 Lebanese companies, including those operating in free zones, are also registered at the Ministry of Economy in the UAE, and the value of their investments reached over $1.5 billion in 2016.